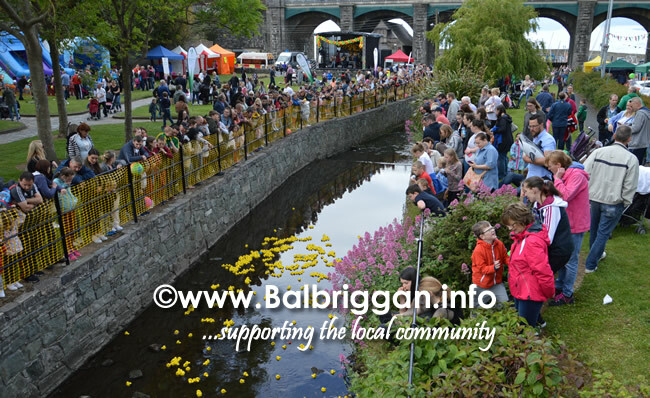 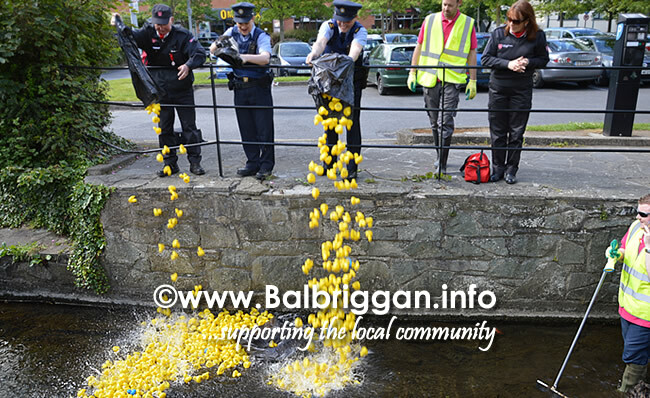 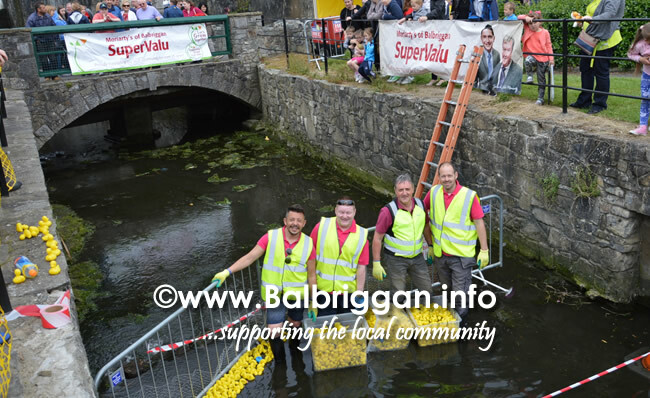 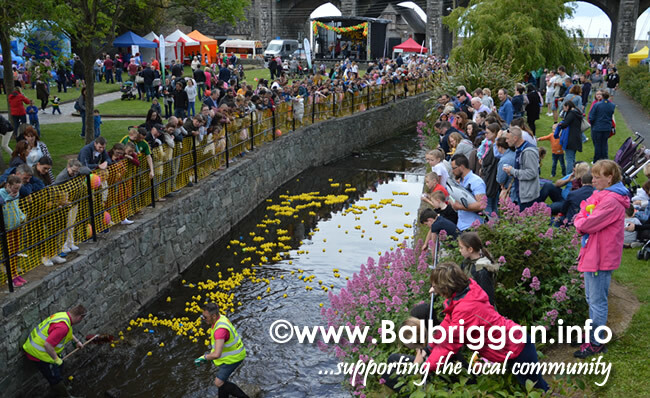 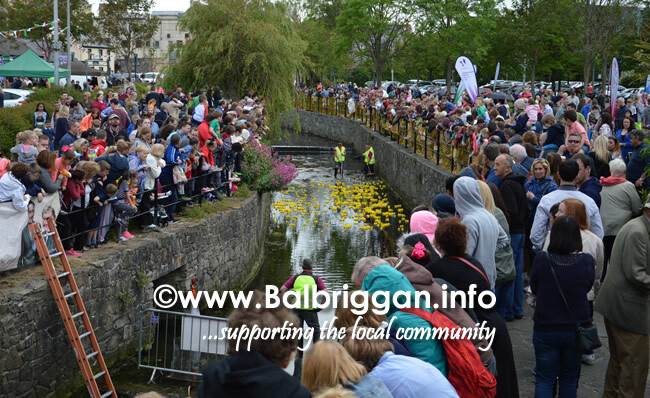 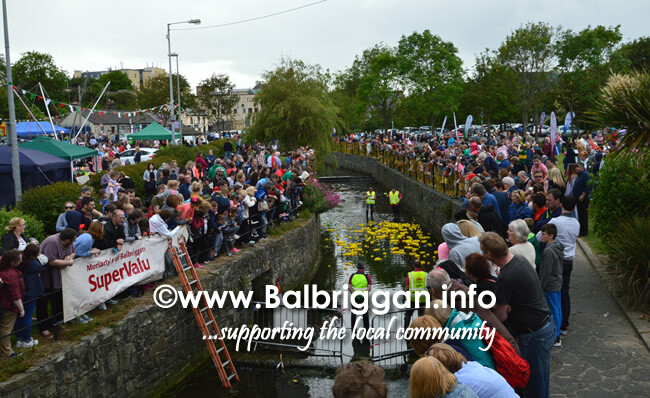 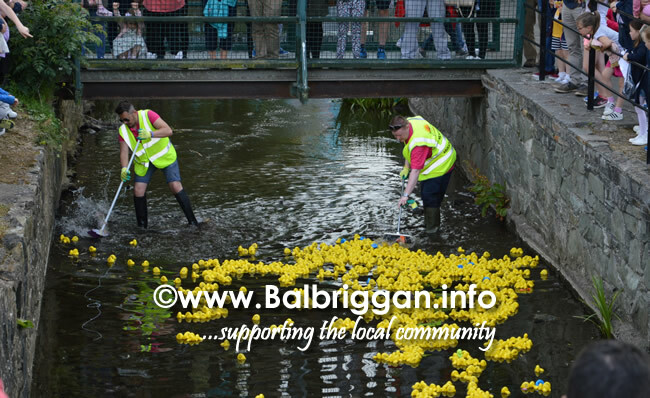 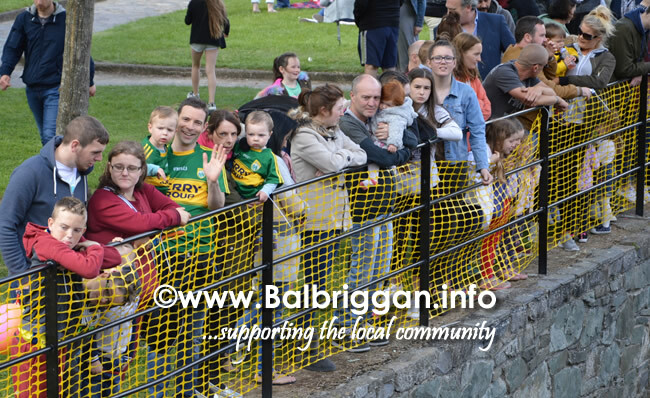 Always a favourite with families is the Balbriggan Summerfest Duck Derby. 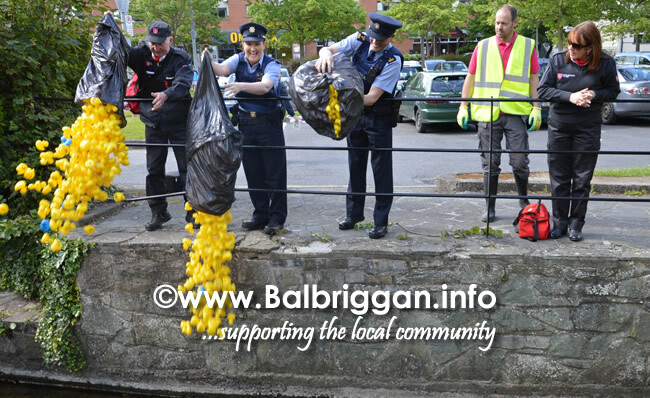 The Gardai and Order of Malta flung the ducks into the river where Brian and Wayne help the ducks on their way to make sure no ones duck was left behind. 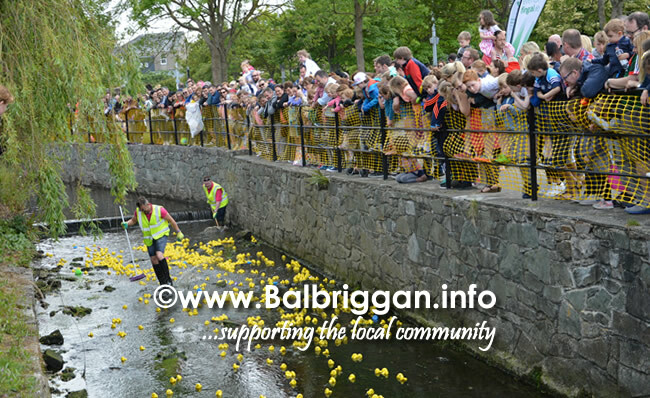 Gary and Brian waited to catch the ducks as they got to the finish line with plenty of cheers from the waiting crowd. 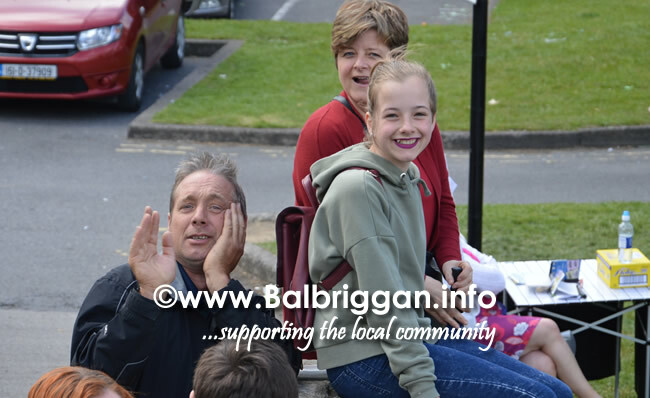 Congratulations to Catherine Rooney who won first prize. 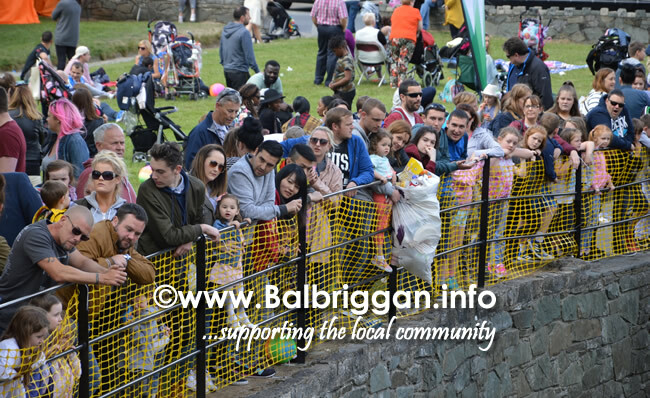 Did you manage to win a prize?